Scott's 'Exodus' will draw you in with pretty effects, then disappoint you with blunt, soulless storytelling. The story of Moses liberating his people from the oppressive Ramses and leading them out of Egypt to freedom is arguably one of the most famous, familiar stories of all time. It’s been told who-knows-how-many times in every medium there is, with movies being no exception (there have been at least a dozen screen adaptations). What is the purpose, then, of Ridley Scott bringing the burning bush, the plagues, and the parting of the Red Sea back to the big screen in Exodus: Gods and Kings? Does he bring anything new to the table? Exodus‘ biggest selling point, without question, is the deluge of digital effects you’d naturally expect from a big-budget biblical epic in 2014. Never have the Plagues of Egypt looked so dazzling: millions of frogs hop and tumble over each other in the moonlight; swarms of locusts and flies are nightmarish and gross; rivers of blood look really, really…um, red. Honestly, the visuals are staggering, and the bravura plague scenes are totally convincing (especially the frogs–yuck). But it doesn’t really matter because the rest of the movie, the vessel that ferries all the CGI extravagance, is so hole-y (see what I did there?) that it sinks before the visuals can make a real impression. Scott’s retelling of the classic story simply doesn’t work, and unfortunately for the talented effects teams, it’s the difference between the film being spectacular-looking, and the film being merely expensive-looking. The problems begin with the film’s most egregious failure, the borderline offensive casting of white people with bad spray tans as Egyptians. (I say borderline because I’ve been so numbed to these kinds of injustices by Hollywood that all I can do now is chuckle as a single tear runs down my cheek.) 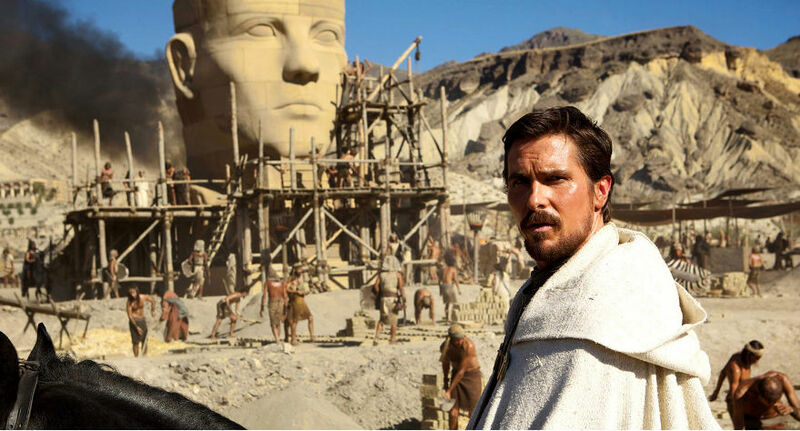 Christian Bale plays Moses, who was raised as a brother to the petulant, preening Ramses (Joel Edgerton), Egypt’s oppressive Pharaoh. They speak to each other in vaguely British accents because…why the hell not? Ramses’ father is played by John Turturro, and his mother is played by Sigourney Weaver. Sigourney Weaver. Sigourney freaking Weaver. And she speaks with an American accent. Wonderful. To be fair, the blow is softened because the actors do a solid job with what they’re given here. Bale and Edgerton have a dynamic rapport, volleying chest-puffing machismo and brotherly empathy with equal intensity and fire. Bale’s Moses is, by and large, the same shepherding, wise, long-haired Jew Charlton Heston’s was, though Heston’s brio is replaced by Bale’s signature brooding and weariness. It’s one of Bale’s more rigid performances, and he perhaps shows too much restraint. Scott claims that if he had cast an actor named “Mohammed so-and-so” (his words, not mine) in the lead role, the film would have never been financed. Sad thing is, I believe him. If he was forced to plug white men into the lead roles, Bale and Edgerton were good choices. Still, it doesn’t make the white-centric casting any less wrong. All that aside, the fundamental issue with the script is that it feels emotionally disengaged. When Moses is exiled by Ramses and finds the love of his life (María Valverde) in a small peasant village, we hardly see the couple interact. They meet and, in a blink, they’re married with child. More screen time between Bale and Valverde would have been welcome (they’re sweet together) but…dammit! We’ve got a sea to part! No time for silly things like love and tenderness! Move along, move along. That’s the thing: every time the film begins to reveal a bit of humanity in its characters, we get ripped away by the plot’s current. The way Scott portrays Moses’ conversations with God is unique, and one of the more compelling things Exodus has going for it. God is embodied by a mischievous British preteen (Isaac Andrews) who antagonizes Moses with cryptic messages, insults, and nasty snarls. These exchanges are shot in a queasy, fever-dream haze and benefit from Scott’s acuity for existential sci-fi. To portray God as an irritable child is fascinating to me, but it’ll probably ruffle the feathers of folks dedicated to 1-for-1 bible literalness. It’s a bold move, and a good one artistically. The Red Sea isn’t cleaved in the same way it always has been in every previous Moses movie; here, the water is displaced in a more spherical shape, like God sticks his giant thumb down into the seabed and then removes it, causing the water to rush back to the center. Other than mild deviations from scripture like this, Exodus is mostly concerned with going through the biblical motions and battering us with extravagant set pieces that, while impressive looking, aren’t supported by enough character work to be stirring. Scott probably fancies his film an insightful, radical play on the classic liberation tale, but it winds up feeling pretty unnecessary and trite, though you’ll still be wowed by the light show. 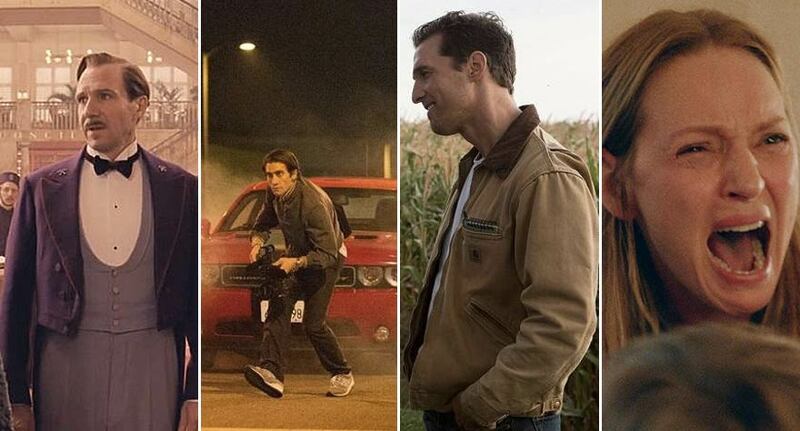 The Way Too Indie staff lists the most intense, scary, funny, moving, and all-around excellent scenes of 2014.